Jamie here to share a card with you using this month's spotlight Autumn Panels! I used the Stitched Square Dies to create the card shape and the brown square. Then I stamped the pumpkins onto the Panel Dies. 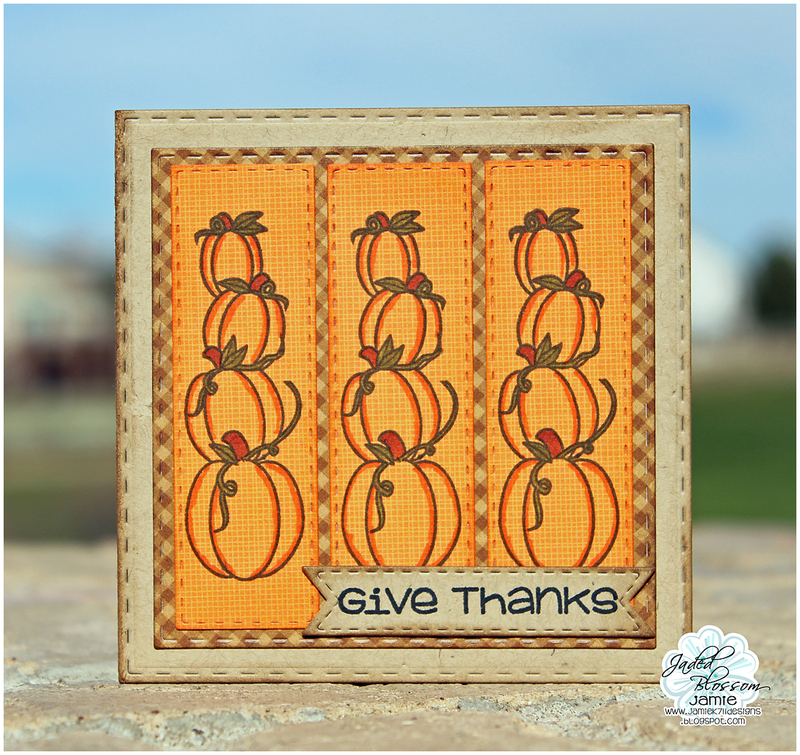 Last I stamped the sentiment from Autumn Panel to a Mini Tag Die 2 and added it to the card!